4 Responses to Maori Spirituality: A Wairua on Auto-Pilot? This is very apposite, Chris. I enjoyed reading it!! What more have you got on your mind? Well done!! We need more people like you thinking these issues through!!! I have a couple of thoughts that I would like to raise. The first is the use of the term ‘Taha Wairua’ which is in common use to mean ‘spirituality’. My thought on this is that it perpetuates the Judeo-Greek/Euro-Western concept of the human being consisting of three elements: physical, spiritual and psychological. To this Mason has added ‘Taha Whanau’ and changes the concept slightly but not enough to make it sufficiently Maori to me. Compartmentalising the ontological being of people is all about control and management by a person/scientist who observes others as objects of interest rather than human beings – positivism. 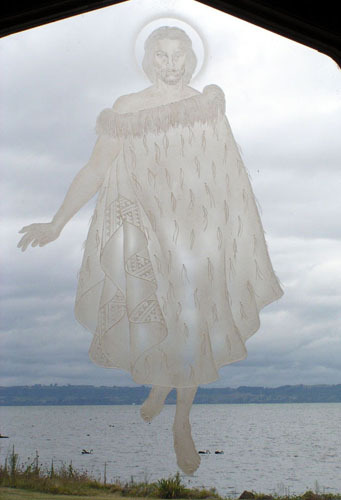 Second, what then is a Maori understanding of ontology? We talk of being holistic, so what does this mean? In the medical field we have argued that treating the Taha Tinana is not sufficient, that the whole being of a person needs to be addressed/cared for. Yet Maori continue to follow the Judeo-Greek/Euro-Western approach as mentioned above. Have we Maori been so inculturated that we don’t consciously and subconsciously recognise what has happened to us? This has significant implications for where Maori are at today. Thanks for your comments, ArchD! To be honest, I have thought about the Whare Tapa Wha model in the way you speak of it before, but nowhere near as developed as your korero! It would be really good to talk about these types of things further and with a variety of different people…it will certainly be more fulfilling than talking about the finer points of Collects! THANKS & PRAISES TO OUR HEAVENLY FATHER: In the beginning GOD….. RULES….. and In th End…. GOD RULES! He maketh th sun to shine on the good & bad… for HE OWNS THEM ALL! Kia ora Christopher, nga mihi mo ou whakaaro. You are right in all you have said about Maori and our spirituality. Spirituality is the heart and core of what makes us who we are. I eat and breathe it everyday. It is also part of my imagination at times when I think of better days ahead in times of despair. For me when I meet someone my wairua tells me a lot about this person. I have a very close transgender friend and when I met her is was her wairua (although shes Pakeha) but her wairua that brought us closer together. I told her on the first day I met her that I loved her wairua. And she said the same to me. When I’m with whanau at times we have our disputes but our wairua is what makes us a whanau. I think even when there are cases of child abuse among Maori it is a clear indication that Wairua is not part of the whanau. Something is missing. thank you for writing about this. Nga mihi.